In this talk, Rune Madsen will present his thoughts on working in the intersection between art, design, and computational systems – and how he considers teaching a vital part of his artistic practice. Rune Madsen is a Danish designer, programmer, and artist living in New York City. 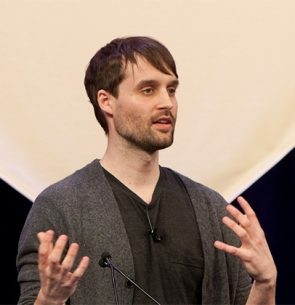 He designs and builds web applications, interactive installations, algorithmic graphic design systems, and many other things involving artistic uses of computation. He believes in simplicity, organized complexity, and that the pragmatic and poetic is inseparable.